Hon Isaac Adongo is a man on a useless yet diabolic mission. 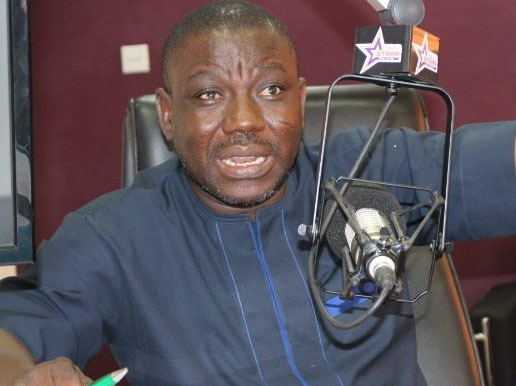 He wants to undo whatever the NPP administration has done so far – an unachievable feat especially by a person of his pedigree. The mission is one of those which end up exposing the man championing it as he becomes a laughing stock in the public space. No government worth its salt would fold its arms when five banks fail to perform even after the regulator bank provides a lifeline. And for somebody to say that the breaches should not be probed smacks of stupidity or cynicism or both. Even his own people in the NDC find him too much of a nuisance because of his warped logic. We said it before and would repeat it that the collapsing and merging of the five banks was the best action to have been taken by the Governor of the Bank of Ghana. The display of hypocrisy and even ignorance in such complex matters do not do any good to the originator other than present him as a nuisance who should be rubbished. But when nuisances continue to show their hypocrisy in the full glare of members of the public they deserve the lambasting of the people which is exactly what the poor MP is enduring. Only a reckless person would abandon a committee brooding over the collapsed banks in-camera more so when he is an integral part of the investigation. What then has been the reason behind his hypocritical sermons on the collapsed banks all along including his senseless promise of returning the collapsed banks to their owners when his party returns to power? If this man regards himself as very critical to the survival of his party and so he continues to talk loosely and act in manner which suggests something negative about his cognition, he must rethink his attitude towards politics. Being an MP puts a lot of responsibilities on a person. That is why the untoward conduct from Isaac is regrettable. We have just learnt that his own party has the intention of serving the cause of the investigating committee; a suggestion that he is a loner in this mad mission. We are scandalized as are other Ghanaians about Isaac’s general conduct. If his ambition is to chalk an unenviable notoriety as an MP, we can only assure him that he would live to regret it sooner or later. If the idea behind his anti-government actions, largely political lunacy, is aimed at derailing government programmes, the bloodied nose his party suffered in their bid to scuttle the $2 billion Chinese barter arrangement should be sufficient lesson for him and his ilk.